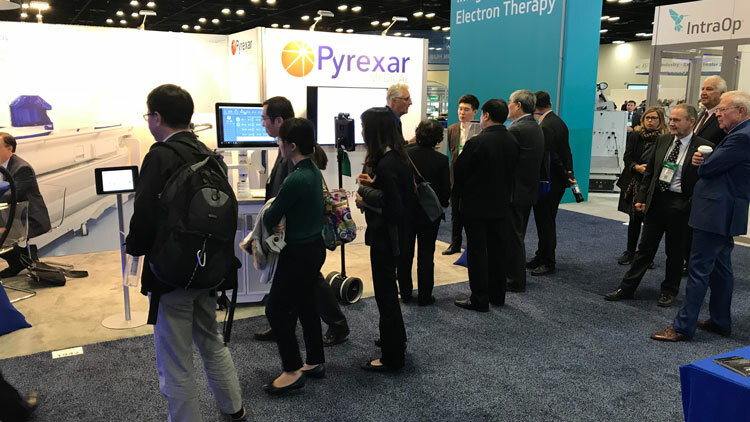 We just returned from the 60th Annual ASTRO in San Antonio, Texas and wanted to share our experience. First, it was a great show for Pyrexar. 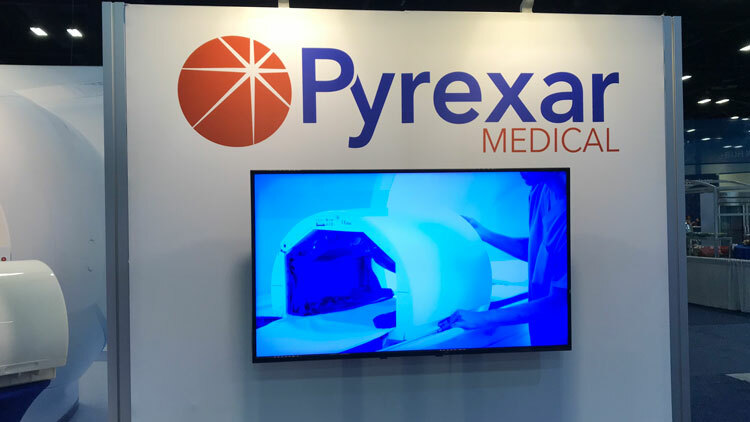 We had immediate traffic in the booth and for the first time we did not have to explain the benefits of hyperthermia as a drug-free radiosensitizer or hyperthermia’s role as an immune modulator. 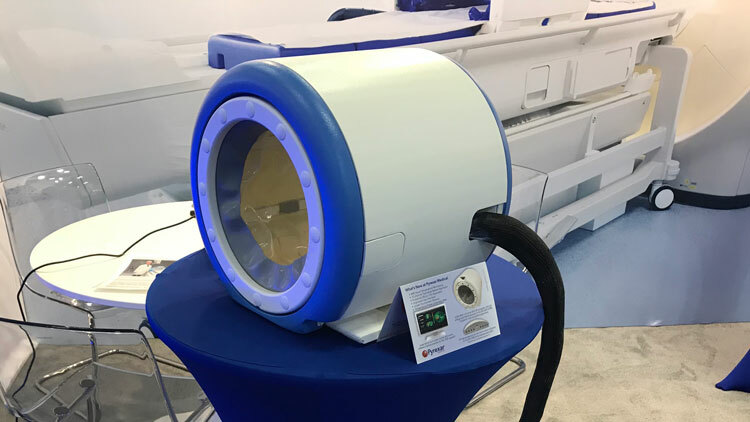 Second, the recent announcement from the University of Maryland Proton Center of its new BSD-2000 hyperthermia suite and the follow-up article in DotMED.com created an immediate draw to the booth. 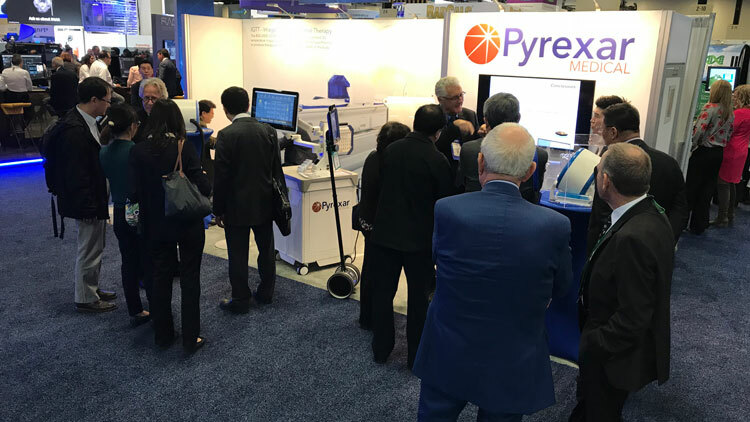 The theme of this year's booth centered squarely on the advances of image guided thermal therapy and the BSD-2000 3D/MR, shown in the featured booth graphic, with hands on access to the Sigma Eye/MR Applicator and the newly redesigned Sigma 30 for the BSD-2000 and BSD-2000 3D/MR. The Sigma 30 is a 30cm applicator designed for limbs (soft tissue sarcoma) and pediatric applications. The crowds and the physical space was about 20% smaller this year. The quality of the show still maintained its excellence as an important platform for scientific review and new product introductions. Many of the large radiation equipment manufacturers focused more on software than hardware. 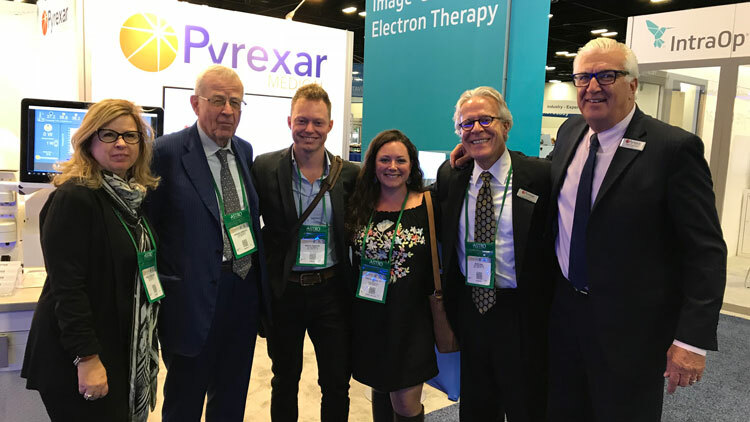 Stopping by the booth were hyperthermia luminaries, Dr. Zeljko Vujaskovic from University of Maryland, Dr. Mark Hurwitz from Thomas Jefferson Sidney Kimmel Cancer Center and Dr. Niloy Datta, Kantonsspital Aarau, Switzerland. Dr. Datta presented a poster titled "Therapeutic Options for Locally Advanced Cervix Cancer: A Systematic Review and Network Meta-analysis" at the new ASTRO Digital Poster Pavilion. We would also like to thank our partners Sennewald Medizintechnik (Germany/Europe/Russia) for their participation in the booth. 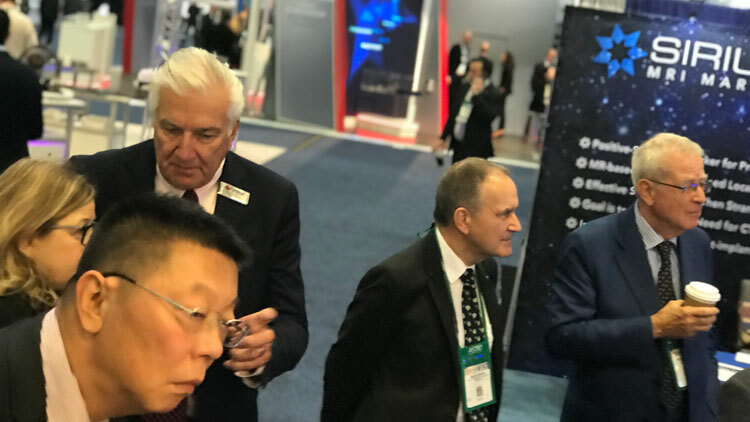 As well as Orientech (China); Tema Sinergie (Italy); Hanbeam Technology (South Korea) and our newest partners Sukosol (Thailand) and HuaLong BioMed (Taiwan), for bringing in a constant flow of prospects from around the globe. 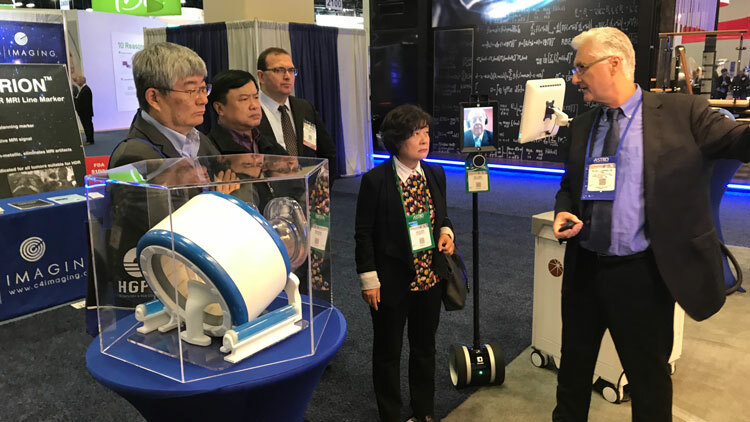 Next stop is the 2018 Taiwan Radiation Oncology Annual Symposium sponsored by TASTRO - Taiwan Society for Therapeutic Radiation Oncology, held in Kaohsiung City, Taiwan Nov. 10 - 11. 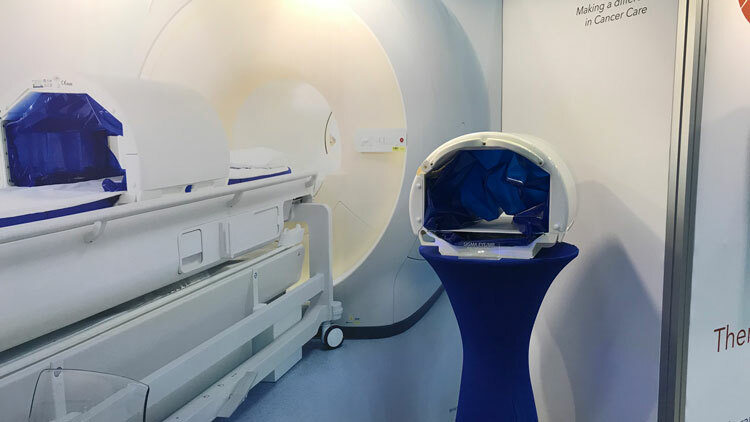 Our Taiwan partner Ames Medical will have a booth and Dr. Zeljko Vujaskovic is a featured speaker presenting his work in hyperthermia and its role in proton therapy.